As fall starts to settle in, it’s hard not to think about the fact that winter is just around the corner. But now that the weather is cooling off, it’s time to start preparing your house for the winter. This means that you need to concentrate on how your house holds in heat and how it will stand up against winter’s snow and ice. Start by taking a look at how well your house is holding in heat. For many families in Ohio, household heating bills are a major part of the winter budget. The better insulated your home is, the more likely it is that you can keep your energy costs down. While there are plenty of ways to check for air leaks on your own, the most efficient way to do it is to get a home energy audit. A home energy audit is performed by a professional who will scan your home using infrared cameras and other tools to check for leaks. These audits can also identify other issues, such as outdated appliances or light fixtures that are using too much energy. Because so many households spend the majority of their energy budget on heating and cooling costs, however, these audits focus a lot of attention on the condition of doors, windows and insulation. With a home energy audit it’s possible to determine the exact locations where heat is escaping from your home. Once you know where these locations are, you can take steps to correct the problem. Mike Sikora’s Dayton Home Improvement is capable of making many of the repairs that are suggested by a home energy audit. These include replacing doors and windows, improving weather-stripping and, most importantly, replacing and/or installing insulation in the attic. Even without a home energy audit, every home owner needs to take time during the autumn to inspect the insulation in their attic and other areas of their home. The heat and stresses on a house during the summer can cause insulation to wear out and become corroded. If you spot any holes or tears in the insulation, it needs to be replaced. Damaged insulation not only allows heat to escape, it also eliminates a barrier between the elements and the structure of a home, leading to maintenance issues later on. At Mike Sikora’s Dayton Home Improvement, we use Owens Corning Blown-In PINK Fiberglas, which installs much faster than traditional attic insulation. It also exhibits superior resistance to heat flow, ensuring superb insulating power that will reduce your energy consumption, saving you money and making your home more eco-friendly. If you need home repairs or insulation installed before winter hits, give us a call. 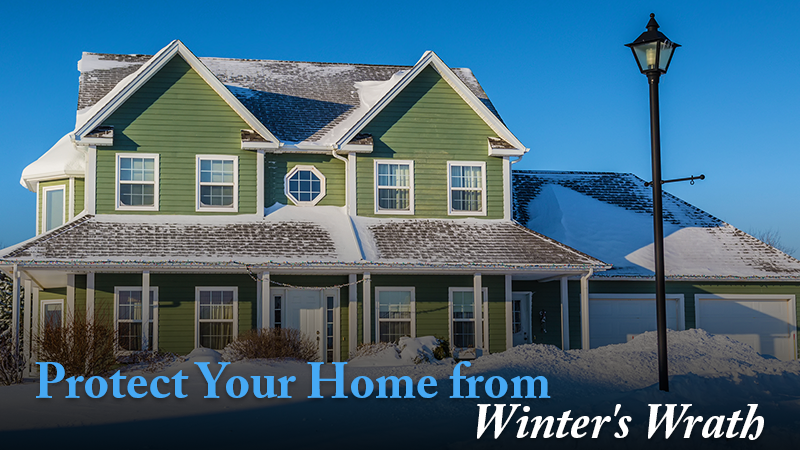 Your home will be better prepared to deal with the harsh winter cold, and you’ll have peace of mind knowing your home is set and that you’re saving money on your energy bills.